On Feb. 7, senior athletes from across the country made their college choices known by signing their Letters of Intent on National Signing Day. 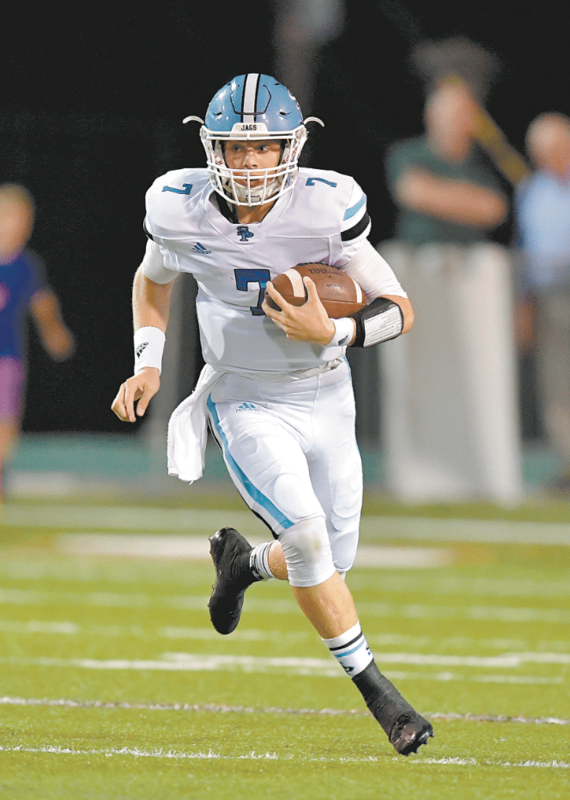 Former Spain Park quarterback Braxton Barker accepted an offer to join the Alabama Crimson Tide as a preferred walk-on, a decision that seemed predestined. His father, Jay, led the Tide to a national championship in 1992 and was a member of the 2015 class of the Alabama Sports Hall of Fame. But Braxton’s decision was carefully made. “It was definitely something that I was leaning toward, but it’s not something that I knew I was going to do the whole time,” Braxton said. Braxton Barker. Journal file photo by Lee Walls Jr. He bypassed scholarship offers to Delta State and Kentucky Wesleyan and possible preferred walk-on opportunities at UAB and Memphis for the chance to earn an opportunity to take snaps for the Tide. But make no mistake, the decision was his own. Alabama head coach Nick Saban personally extended the offer to the younger Barker when he dropped by Spain Park High School earlier this year. While the elder Barker’s experiences didn’t necessarily set the younger’s path, they did guide him. Jay’s familiarity with the recruiting process served as a handbook for his son as the latter made one of the most important and difficult decisions of his life. Braxton discussed the decision at length with not only Jay, but also his mother. They weighed the pros and cons of each opportunity. And while his father’s legacy loomed large over his own football career, he said he never felt pressured to choose the Tide. Beyond the guidance of his mother and father, Braxton also had Spain Park head coach Shawn Raney. That leadership was something with which Jay was always comfortable and for which Braxton was always grateful. Braxton said Raney made phone calls and sent emails on behalf of all of his players in an effort to give each an opportunity to play at the next level. He credits Raney’s efforts for the opportunities that he and many of his teammates now have. Braxton is leaning toward pursuing a degree in business. He’s not certain when he will join his new teammates and begin the pursuit of his oldest dream, but he’s hopeful that he’ll do it wearing his father’s number 7.